How can I control my units in battle? Once placed on the battlefield, your toops are autonomous and cannot, be controlled once they are deployed. At the moment of deployment, each unit's first target, is highlighted with crosshair's. Different units will attack according to their abilities and their preferred targets. Check each unit's info in the barracks' train troops screen, and check different defensive turrets info as well to learn which units they target. What happened to the troops that survived the battles? After combat, all troops deployed on the battlefield turn back into elixer and soak into the earth. 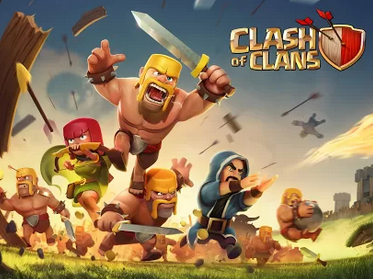 Expending troops to win battles is at the heart of strategy in Clash of Clans. Think of your troops as resources to be spent wisely. You should plan every battle carefully and try to use the right number of the right type of troops. Throwing all your troops to combat without considering the cost versus benefit can lead to a pyrrhic victory., where you end up spending more resources than you gained. What is the shield and how does it work? The shield prevents other people from attacking you for a period of time. You lose the shield when the time runs out, or when you attack another player. When your village is destroyed by an enemy attack, you automatically get a new shield for 12 hours. You can also purchase longer lasting shields from the shop. What happens when the shield runs out? If you do not have an active shield and you exit the game, your village will be vulnerable to attacks from other players. The attacking player will be able to steal some of your resources, but never all of them. You can protect your village with defensive buildings, walls and traps, or by buying a new shield from the shop. Terrain obstacles and the edge of the map do not stop attacking units! You can upgrade your buildings by tapping on them and choosing the Upgrade option. Upgrading your town hall unlocks new buildings and allows you to upgrade your existing buildings even further! Buildings will not work while they are being upgraded. This means that mines and elixir pumps wont generate resources and cannons and towers wont shoot enemies while being upgraded. Once you upgrade your town hall to a high enough level, you will be able to recruit heroes from the shop menu. Heroes can attack enemy villages or guard your village in case of attack. Heroes are immortal but can be injured and must be healed. You can heal your hero by letting him sleep or by using the Heal button.